Joseph Schneider of Bad Kreuznach in western Germany is another of the great manufacturers of superb lenses, and many of their medium format lenses are made for a range of prestigious cameras, including Rolleis and Hasselblads. They announced the following lenses for the Exakta 66, and all of them are reported as having been seen at some point, although I believe that the 40mm Curtagon lens may have never entered serial production. serial production. See more information here. Curtagon MF f/3.5 / 60 66.5 0.6 M 67 × 0.75 81 × 84 570 . Xenotar MF (1) f/2.8 / 80 52 0.6 M 67 × 0.75 84 × 72 500 . Biometar (1) f/2.8 / 80 54 1.0 M 67 × 0.75 82 × 68 440 . Xenotar E (1) f/2.8 / 80 54 1.0 M 67 × 0.75 82 × 68 440 . Exakta (1) f/2.8 / 80 52 (?) 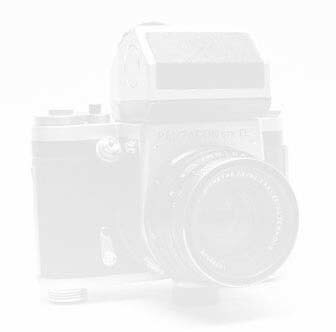 0.95 M 67 × 0.75 83 × 74 450 . Tele-Xenar MF f/4 / 150 29.5 1.5 M 67 × 0.75 84 × 101 760 . Tele-Xenar MF f/5.6 / 250 18 3.0 M 67 × 0.75 84 × 168 900 . 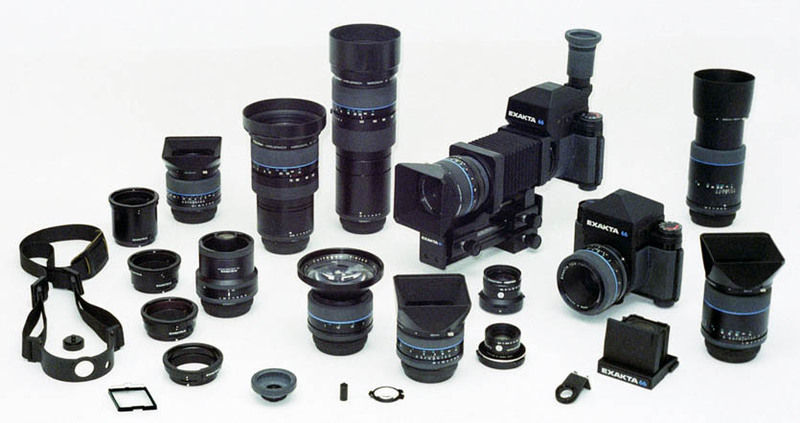 There is much debate about the origin of these four 80mm lenses for the Exakta 66. The amount of information involved merits consideration on a separate page, which can be found here. 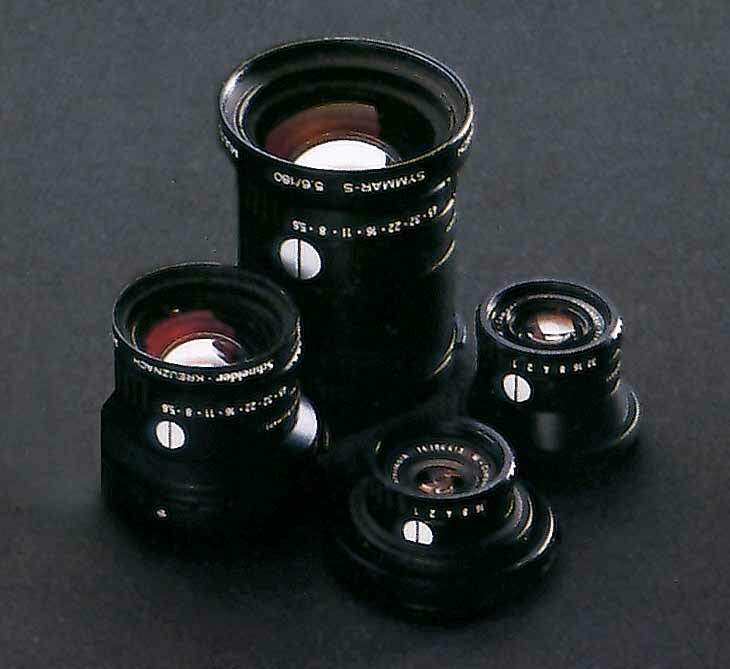 (2) The lens designations are taken from the original Exakta 66 publicity brochure, from about 1984. The only Variogon lenses that I have seen in the Exakta 66 mount in fact have the designation “M”, not “MF”, on the actual lens name ring. The revised colour brochure from about 1990 does not give any letter designation for any of the lenses. This is an item with the maximum optical quality, as one would expect from Schneider. Further details of its operation can be found here and here. General information on the use of tele-converters is here. Symmar-SF f/5.6 / 135 32 . M 49 × 0.75 59 × 50.5 250 . Symmar-S f/5.6 / 180 24.5 . M 62 × 0.75 61 × 64 350 . The two Symmar lenses already have a world-wide reputation, and Exakta GmbH claimed that when they were attached to the Exakta 66 bellows it would be possible to focus them from infinity to ultra close up, although this turns out not to be the case! Componon is the name on Schneider’s top range of enlarging lenses, and the macro versions of these lenses are designed to give the greatest possible magnification of the tiniest objects. I understand that in the macro versions of these lenses the elements are mounted in reverse, as compared to the enlarger versions. To see a review of the bellows – or “macro” – lenses click here. The data in the tables above are based on published sources. I do not have examples of all of these lenses (! ), and I have not measured or weighed all of those that I do have. I note that Pentacon GmbH Foto- und Feinwerktechnik in Dresden has two much newer products that use Joseph Schneider lenses in the Pentacon Six / Exakta 66 mount: their scan 3000 and scan 5000 professional scanners. The 3000 brochure that they were distributing at Photokina 2002 showed the 60mm Curtagon MF on a scanner. It’s great seeing these lenses living on into new technology, and an indication of the high quality images that they produce. Most of these lenses are illustrated and tested in the Lens Test section of this website. To go to the lens test section, click here.